There is little Larry Wein hasn’t accomplished during his three decades as a varsity football and baseball coach with the Los Angeles Unified School District. In 30 years, Wein has amassed more than 200 wins on the gridiron while helping to form the competitive nature and good sportsmanship of future professional athletes like three-time Super Bowl champion Ken Norton, Jr., two-time baseball World Series champ Chili Davis, the Rams’ Aaron Cox and the Colts’ Larry Triplett. Under Wein’s tutelage, several coaches (the NFL’s Huey Jackson and Kirby Wilson) and even a Major League Baseball umpire (Kevin Danly) have flourished at the professional level. 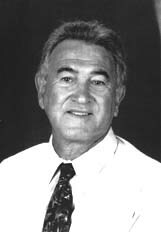 Wein spent his first seven years at Dorsey High, guiding the football and baseball teams to much success - including the 1987 Los Angeles City football crown, as well as a runner-up spot the following season. For his efforts in 1987, Wein was named the First Interstate Bank and Amateur Athletic Foundation’s “Los Angeles Coach of the Year.” His baseball team claimed league titles four times, and reached the LA City Final Four at Dodger Stadium twice. Wein logged his next 20 years and 162 wins as the football coach at Westchester High. During his tenure, he was named KABC Monday Night Football and National Football League “Coach of the Week” (1996) and led Westchester into a position as a finalist as the NFL “High School of the Year for 2000.” He also was the winning coach in his final 29 consecutive Western League games before leaving Westchester for Hamilton High in 2002.